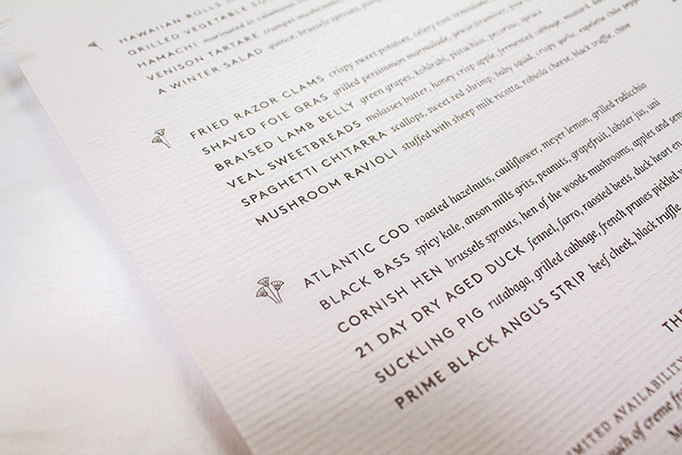 Sometimes a simple die-cut is enough to make a single-sheet menu stand out and the swooping curve on this textured paper makes an elegant and bold statement. 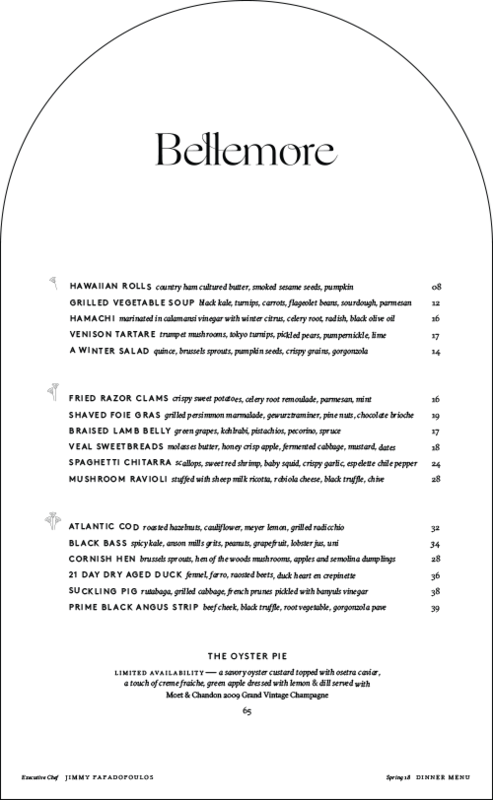 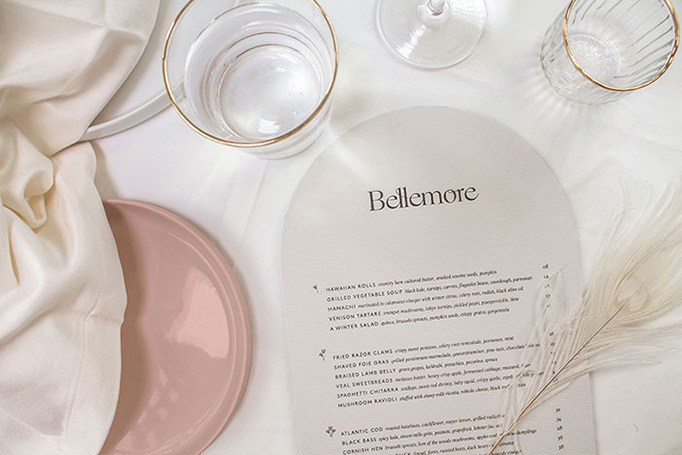 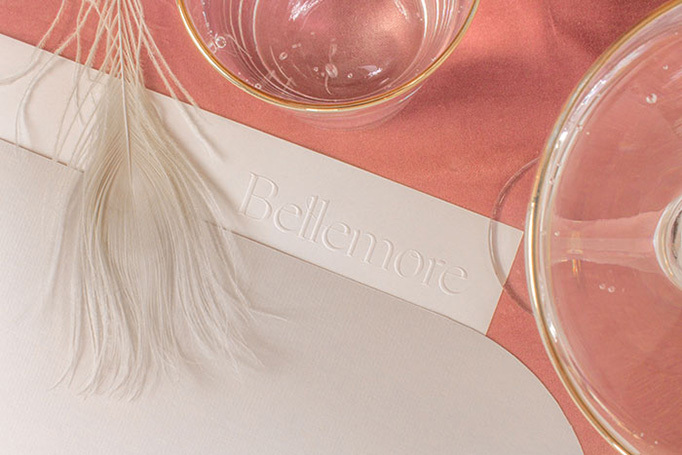 Classy typography rounds out the sophisticated vibe of the menu. 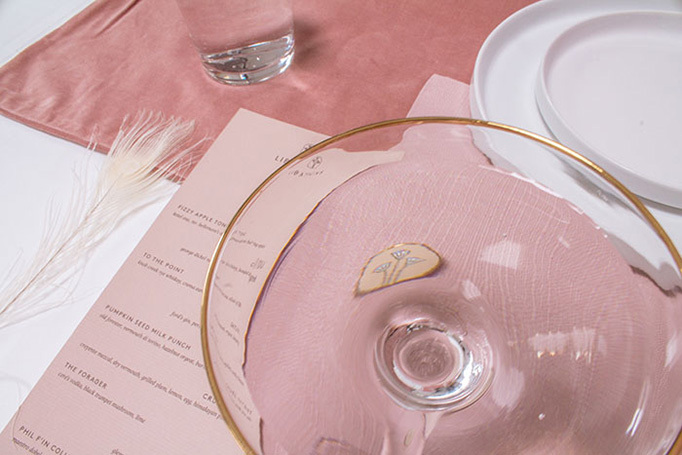 A nice detail are the single, double, and triple leaf icons for the courses. 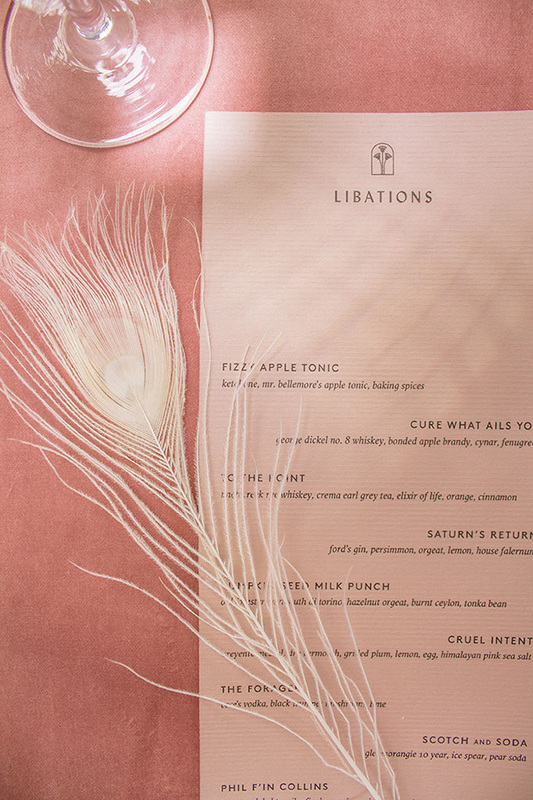 The drinks menu uses the same kind of textured paper but in a different hue that nicely matches the table decoration.